Kangra district has been the top in the country to get the benefit of Pradhan Mantri Awas Yojana (Rural). District got the goal of benefiting 776 people for the year 2016-17, which has been completed during the time. Applications from around 3,000 districts were received from all over the country, in which Kangra district has secured first place. 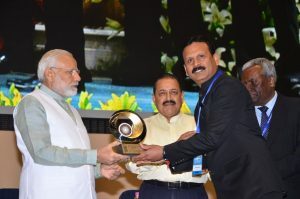 On April 21, Prime Minister Narendra Modi has delived the Prime Minister’s Excellence Award to DC Kangra Sandeep Kumar on Citizen Service Day in Delhi.